Hot off the cutting room floor! 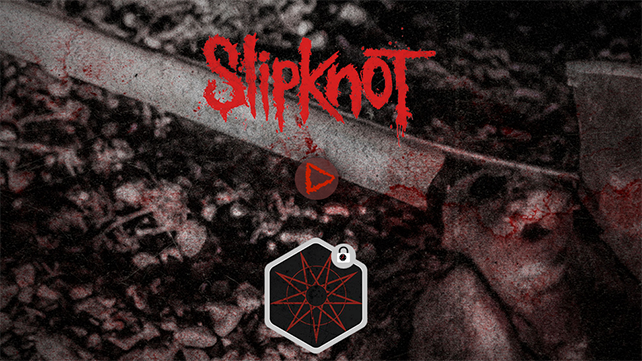 Overdrive brings you the new video from Slipknot! Enjoy. The official video for the new SLIPKNOT song titled “The Negative One” can be seen below. The clip was directed by the band’s co-founder, conceptualist and percussionist M. Shawn “Clown” Crahan. The track is expected to appear on the group’s upcoming album, which is due out in October via Roadrunner. SLIPKNOT announced in December 2013 that it had parted ways with Jordison. The band has not disclosed the reasons for Jordison’s exit, although the drummer issued a statement in January saying that he did not quit the group. The second edition of SLIPKNOT’s Knotfest event will take place on October 24-26 in San Bernardino, California. More than two dozen other acts will join the headliners, including FIVE FINGER DEATH PUNCH, VOLBEAT, OF MICE & MEN, IN THIS MOMENT, HELLYEAH and ATREYU.